On Saturday, July 13th, I spent most of the day silently lamenting the fact that I had missed out on going to the Albany Pride Parade. 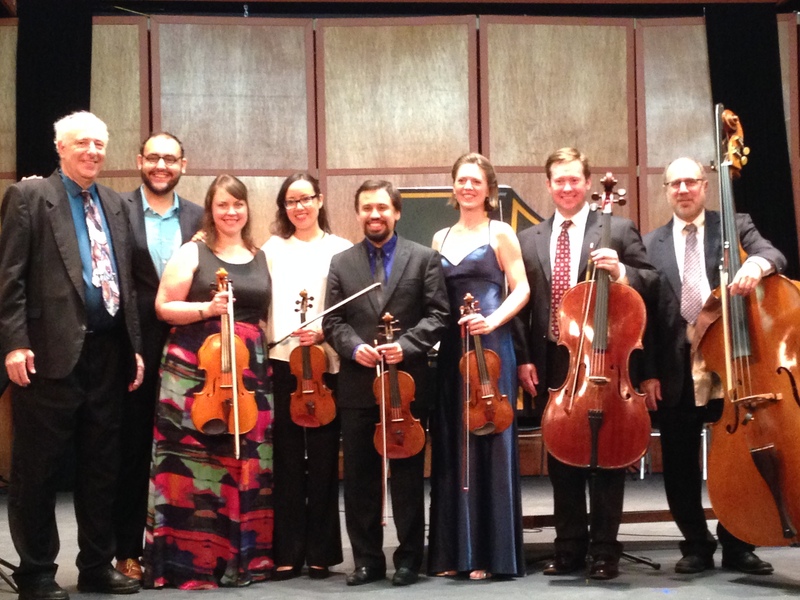 The Berkshire Bach Ensemble was making its debut in the Catskills. 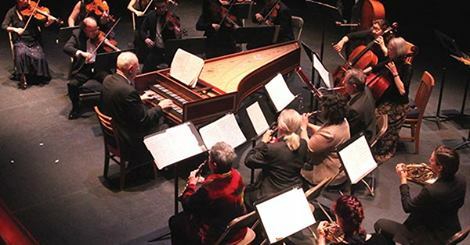 The famous harpsichordist Kenneth Cooper would direct the Ensemble, which he founded, and world class musicians would take the tiny stage. There was a box office to run, a ticket line to answer to, and chores to do before the performance. As I tapped away at my keyboard, typing up an important interview, the sounds of strings drifted up the stairs and under my office door. Sure, the Ensemble sounded beautiful, but was this really worth missing the rainbows of Albany Pride? All of my doubts dissipated after I closed the box office and took my seat. Boy was I in for a show. I have always been fascinated with music. I’ve been in band, chorus, drum and bugle corps, advanced band, jazz choir, and more – live music somehow finds its way straight to my soul – but my high school didn’t have an orchestra, so I was never very familiar with the string instruments. Really all I knew about classical string arrangements was what I learned in elementary school, and almost nobody comes out of that liking what they learned. I didn’t mind the music, but didn’t find it to be anything special. At this point, I encourage you to forget everything you’ve been forced to listen to in school. Clear away all the bitter memory of required curriculum and make room for the wonder that is the Berkshire Bach Ensemble. The evening began with Samson: Overture, by George Frederic Handel. I cannot speak to how this one went, since I was busy closing up the box office, but I managed to seat myself in time to hear all of Montevertigo, a suite of four madrigals, composed by Claudio Monteverdi and arranged by Kenneth Cooper. As Cooper explained, Monteverdi wrote wonderful compositions for vocal music, but never wrote anything instrumental. The Berkshire Bach Ensemble was not satisfied with this, and so they performed a refurbished version of four of his madrigals: Zefiro torna, Maledetto sia l’aspetto, Lamento della ninfa, and O rosetta, che rosetta. Cooper humorously explained the meaning of each piece before starting into the suite, setting a lighthearted and fun mood. To put it plainly, I often despise madrigals. I’ve been forced to sing them too many times, and the resulting performances were not incredibly pleasant. The reason I mention this is because it speaks to Cooper’s interpretation of the pieces. I really, really liked what he did. I was aware of small nuances common in madrigals, and still thoroughly enjoyed the pieces despite my history with the form. 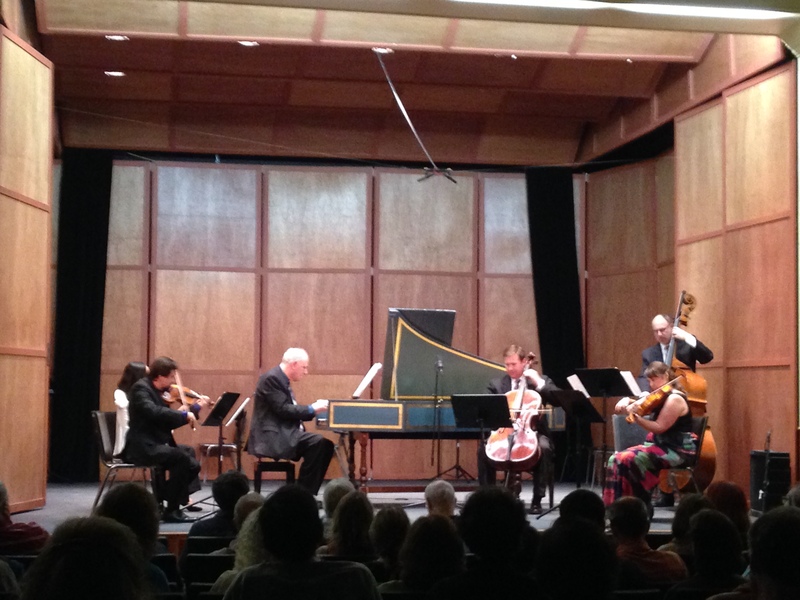 Up next was Harpsichord Concerto No. 5 in F minor, which really showcased Cooper’s skill-set. I had never heard a harpsichord live before, and the performance opened my eyes to the beauty of this, the modern piano’s ancestor. It’s no wonder that Cooper is globally recognized; his command of the instrument, as well as the Ensemble, is nothing short of impressive. 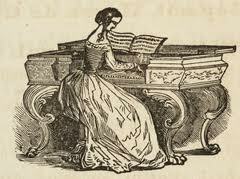 The harpsichord itself is an incredible thing of antiquity. Reminiscent of crashing cymbals, at certain volumes the harpsichord seems to be more percussive than melodic, which is just as well. Last but most certainly not least, Vivaldi’s The Four Seasons, Op. 8, followed a brief intermission. Here is where forgetting your general music education comes in – this is not the Vivaldi you knew in third grade. This is Vivaldi portrayed by first violinist Marjorie Bagley, violinist Kristi Helberg, violinist Daniel Khalikov, cellist Alistair MacRae, violist Irena McGuffee, double bassist Peter Weitzner, and of course, harpsichordist Kenneth Cooper. Everyone has heard Vivaldi’s famous pieces at some point in their lives, but you have never truly heard it until you’ve seen it in the Berkshire Bach Ensemble’s capable hands; these musicians from around the world bring a unique sound to the somewhat overplayed classics. The greatest benefit of attending performances such as these is the chance to witness the performers’ passion. Cooper’s style of conducting while playing is intriguing. He makes it seem that one is just as important as the other, leaving room for emphasis on either when needed. Rising slightly from his bench as he cues an entrance or cuts off a phrase, his unique multitasking really adds to the show. Every instrumentalist feels their music to a certain point, but the members of the Berkshire Bach Ensemble transcend feeling to become. Any onlooker could tell. Swaying with the cadence of their harmonies and melodies, each musician captures the audience in a way only a truly skilled musician can. The intimacy of Weisberg Hall played a large part in connecting the audience to the stage. I highly recommend that you find out where the Ensemble will be next, because if anything made missing Pride parade worth it, it was them. The Catskill Mountain Foundation is constantly bringing world class performances to the Catskills and right under our noses. Keep an eye on the Foundation; if just a few more people catch on to the caliber of these events, they’ll be selling out quick. Acoustics testing with David Peskin! David Peskin from the Piano Performance Museum helps test the acoustics on the newly renovated Doctorow stage. Watch his on the spot stylings below! You could say that I wear my heart on my sleeve. What you see and hear is what you get. That’s me, Lucille. My owner, Molly had an ear for tuning; her ears being quite large at that too. I sometimes thought she could hear me thinking, which is odd seeing that I am a piano and she a human. Molly seemed to be insecure about her ears except when around me. I would overhear Molly telling her sister, Betty, that she could hear Cyril’s war letters being written days before they arrived on her doorstep. I doubt her ears were ever that dexterous, but they did save my life. I was an orphan when I arrived at Cyril and Molly’s humble abode and I could swear Molly heard my cries from the dusty basement where my previous owners held me captive. 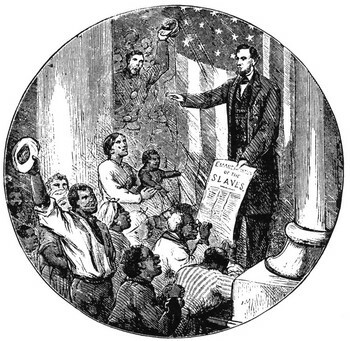 Once the Civil War commenced, the previous old and stale owners forgot about me, so I have erased them from my mind. I’m a piano, I can do that. It was unfortunate though and their loss, because I am a diamond in the ruff. I have a full 88 keys while most of my friends have only 85 keys. And, I am most certainly all legs If I do say so myself…I mean, look at my cabriole curves of the Victorian era…I also have to mention my unique Steinway patented innovation of “Overstrung Bass Strings” to allow for greater length of my strings. I am not humble. That’s when Cyril and Molly rescued me. Cyril was leaving to war and wanted to make sure Molly had an outlet for her emotions. You see, the whole large ear thing, Molly didn’t leave the house much. She often got ridiculed and this worried Cyril. If she couldn’t exercise her ears through listening to him, he felt it necessary to leave me to handle the situation. I was A-ok with that. Instead of restoring me when I arrived in my new home, Molly and Cyril decided to conserve me. Molly told Cyril I sounded musical and in tune with myself already. I mentioned, I am a gem, right? Anyways, those ears always seemed to make the decisions in the household, to which I couldn’t argue because those ears are the reason my true voice is revealed. So they conserved me, retaining all my parts, strings, keys, ivories and hammer-felts leaving me as bionic as could be. There may be traces of wear and tear in my voice, but Cyril always referred to that as, life’s trials and tribulations weighing in. Molly called this, fatigue. Similar to how Picasso went though his blue period and Jung suffered and persevered through a depression, my voice goes off into the darkness that lies within my past basement captivity days. Don’t let this fool you though; I’m not tired or sad. I am told we are all the sum of our experiences. We’ll just call it character…. Anyways, I am here to tell a tale of the Civil War. This tale requires you to be all ears, like Molly, and listen. Disclaimer: You’ll need your eyes too. A pervasive sound of loss and longing is played by Molly. It circulates through my lungs, or soundboard, and out into the room. The sound comes from all over my frame or chest. A lower key comes from my left side, and a higher key comes from the right. You can chase each note, running back and forth. It’s enough to give your head and body a full musical experience. Molly puts her hair up in a bun as she plays. No one ever has direct sight of her big ears like I do. I suppose I should explain the melancholic sounds of loss and longing filling the air. The Civil War is happening. Cyril is off in battle. Molly channels her sadness through me and doesn’t leave the house much. Her favorite piece to play is the Ashokan Farwell. Molly cries after she plays me sometimes. A letter from Cyril arrived in the mail yesterday. Molly read it out loud as if she knew I could hear her. General McClellan is preparing for battle with the Confederates, I have supreme faith the Union will prevail. I am well and in fair spirits. Although I am tired, every moment is worth it. I miss you and your company. I hope you are enjoying the Steinway. I look forward to hearing the music fill the acoustics of our house and being with you once again. I know you can hear me as I say goodnight. This letter left both Molly and me filled with terror. I am a piano, what do I know? Well, I have a sixth sense. You see, music tells of the past, present and future. The war will not be ended until bloody massacre has occurred. I feel as though I might not have the opportunity to see Cyril again. His memory will only be shared by tales played on my keys. If this is my purpose then I shall live true to it. 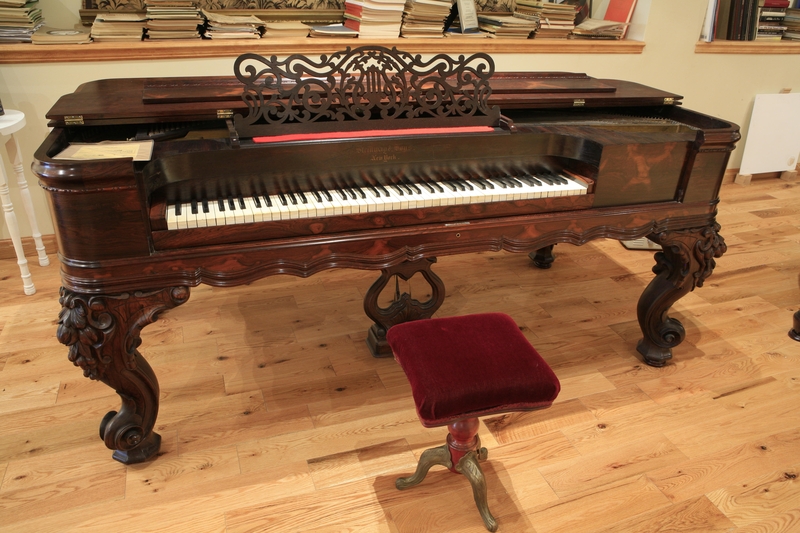 Just as the styles of pianos are changing so are the laws and ways of the people in America today. Over the next couple of days Molly laid on the floor with her hands muffled over her ears. The attack of Antietam was occurring. I couldn’t hear it, but Molly could with her ears. She heard the sound of 20 thousand deaths. What did this experience feel like for me over those few days? I felt weak at times, overwhelmed by the sadness. I was gasping for breath with the dust collecting on my strings and my keys beginning to stick to my frame. Molly places a black shawl to protect me on days where she has less hope. My pink shawl is used when we have guests or receive letters with good news. 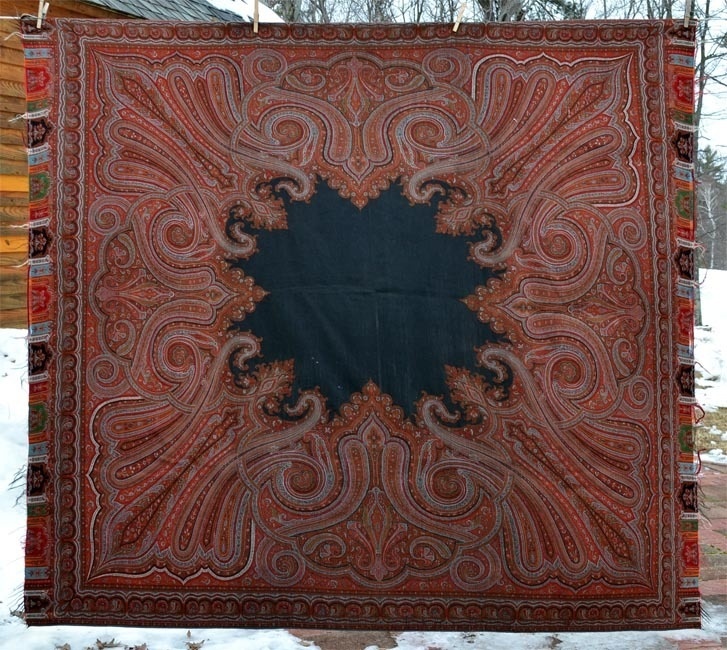 As Molly heard the sound of many deaths, the only shawl I saw was the black one. I had to keep in mind my role. It is to share music and transport people, especially Molly, to places that reflect memories and reveal hope. The meaning of death and dying is significant these days as Molly and I would soon find out….. I have been wounded among the thousands during the Antietam attack. It was the bloodiest day I hope America will ever have to see. There was an atrocious madness in my fellow soldiers’ eyes I have never seen before. I replay the sounds of music in my head for solace. I think of the sounds from the first day I met you, I hear the sound of war tunes, and I hear the sounds of the future, the sounds of freedom. I am dying a good death, it is for the freedom of man, and for that fact alone I can rest in peace. One day we will be reunited…until then, remember me through the piano when you are lonely. The music stopped, the house went silent, the noise white. If was as if Molly heard President Abraham Lincoln signing the Emancipation Proclamation with her large ears. On January 1st. 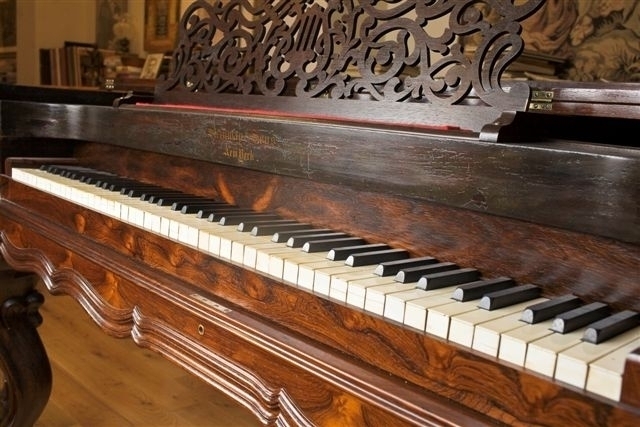 1863 Molly began playing pieces filled with life. Music was medicine again! Molly opens the windows and rids the house of my black shawl. I am no longer cold. I feel the upper outward curves of my legs showing without a coating of dust. There is still a somber nature in the air. But Molly is alive again, and therefore, I am alive to share stories again. I am revived with the hope of redefining this country with one song at a time. That’s a piece my tale. That’s a piece of my song. That’s my American Piano Experience.